Time to sell your Ocean Breeze condo? Read about today's resort-market condo buyer. 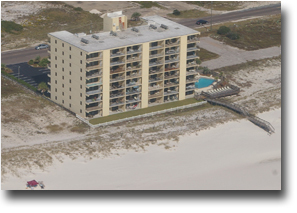 Ocean Breeze condos in Perdido Key, Florida are split up between Ocean Breeze East and Ocean Breeze West. The Ocean Breeze East building has a total of 31 condo units while the slightly larger Ocean Breeze West building has 47 condo units. Both of these phases of the Ocean Breeze project were built in 1985 and all units are direct Gulf-front, meaning that each condo has an unimpeded view of the Gulf of Mexico from the balcony. Ocean Breeze's floor plans are all two- and three-bedroom units ranging in size from approximately 1,000 square feet to around 1,350 square feet. The amenities for Ocean Breeze include an outdoor pool, pets are allowed, and a meeting/conference room. Please let us know if you would like further info for Ocean Breeze East or West or any other condos, homes, or real estate along the Gulf Coast or would like to schedule a private viewing by emailing info@condoinvestment.comor by calling (251) Area-Pro (251-273-2776) for immediate assistance. Planning to rent out your condo? Read our RENTAL TIPS to increase your Ocean Breeze rental revenue. Additional info for annual rental incomes for Ocean Breeze East & West and other Perdido Key condos.